Obituary for Anne J Hofmann | Williams Funeral Home, Inc.
Anne J. Hofmann (nee McGrory) died March 30, 2019 at the age of 67. Anne had various distinguished careers in the public sector. She was a thirty eight year veteran of the NYPL system where she rose to Chief Librarian of the Donnell and Mid Manhattan Library Centers in Manhattan. A former President of the NY Library Association, Anne was the recipient of multiple honors during her years of service. Anne also played a prominent role in the leadership of the American Library Association, where she was the Public Library Association representative. 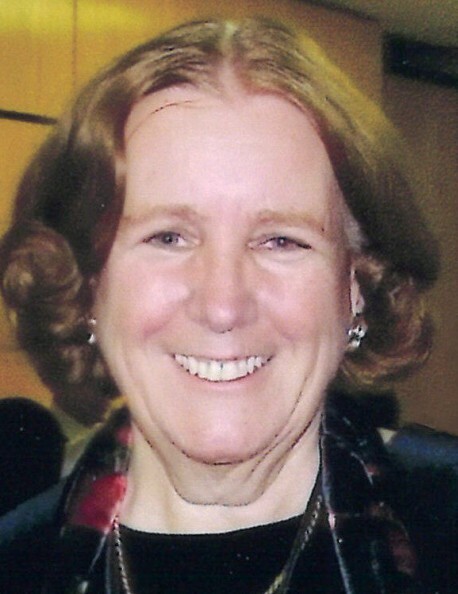 For the past twenty-four years, Anne was a well respected professor of public policy at Baruch College. She was instrumental in building the public affairs department and a pioneer in their online education program. A graduate of Spellman HS and Lehman College, Anne held two master’s degrees, an MLS from Queens College and an MPA from Baruch College. She spent nearly 60 years residing on Adrian Ave in the Marble Hill section of NYC where she was a community leader, including Bronx Community Board 8 President. Anne had a passion for gardening, theater, and travel, attending hundreds of Broadway shows and visiting dozens of countries. She frequently visited her parents native Donegal, Ireland, where she will be laid to rest. She is survived by her son Dennis and grandson Shane; sister Mary O’Neill and husband Brian; brothers Liam McGrory and wife Bonnie, Eugene McGrory and wife Kerrie, Kevin McGrory and wife Jenny and her nephews Eamonn and Harry; sister-in-law Diane and her nephews/nieces Philip, Christine, Stephen and Kaitlyn. Anne’s brother Philip predeceased her as did her parents Margaret and Philip Laurence McGrory. Services will be held at Williams Funeral Home at 5628 Broadway (corner of 232nd Street) on Wednesday April 3rd from 2 - 5 and 7 - 9. Christian Mass will be at St. Margaret of Cortona Church, 6000 Riverdale Ave on Thursday April 4th at 10:45 a.m.